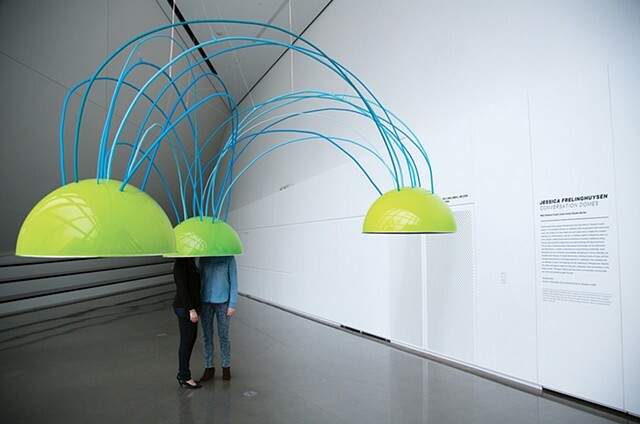 Conversation Domes is an installation that includes both audio and visual elements. Coming from a series of paintings that I made over the last 8 years, their form is meant to echo the different configurations of thought and verbal patterns of interpersonal dynamics during conversations. This configuration is meant to be a conversation between three people.